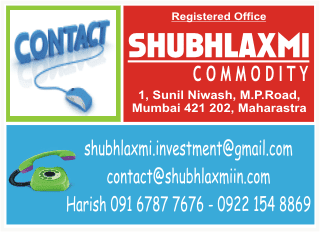 MCX Zinc has fallen sharply in the last few weeks. From the high of 136.90 it has reached the medium-term rising trendline. The base metal seems to be finding support near the trendline. In terms of price pattern, the commodity seems to have formed an expanding ending pattern, which is a bullish pattern in this particular case. ecently, the pattern has been broken on the upside. The short-term momentum indicator has given a buy signal suggesting that a bounce is on the cards. Unless the recent low of 114.6 breaks, zinc can bounce till 120 and 123, ie 23.6% and 38.2% retracement marks respectively.